Housing costs got you down? Though apartment hunting can be frustrating, there are deals to be had. So what does the low-end rent on a rental in Philadelphia look like these days--and what might you get for the price? We took a look at local listings for studios and one-bedroom apartments in Philadelphia via rental site Zumper to find out what budget-minded apartment seekers can expect to find. First up, this studio, situated at 1850 Clarence St. in Harrowgate, is listed for $525/month. In the unit, expect hardwood flooring, bay windows and wooden cabinetry. You'll have a small backyard as well. Animals are not welcome. The rental doesn't require a leasing fee. According to Walk Score's assessment, this location is very walkable, is relatively bikeable and offers many nearby public transportation options. 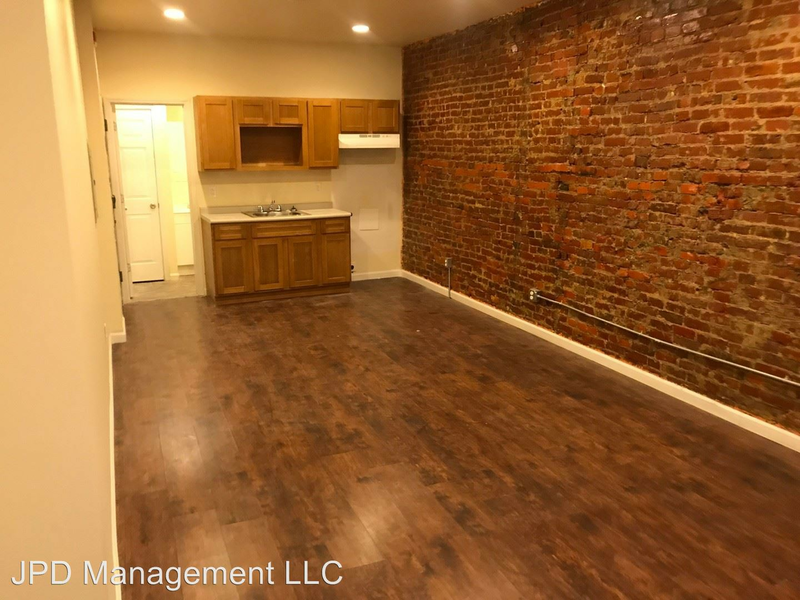 Here's a studio apartment at 2237 N. Camac St., #3rdFLREAR in Hartranft, which, at 250 square feet, is going for $550/month. The apartment boasts air conditioning, hardwood flooring, in-unit laundry, built-in cabinets and large windows. Neither cats nor dogs are allowed. According to Walk Score's assessment, the surrounding area is very walkable, is fairly bikeable and boasts excellent transit options. Then there's this at 3509 Kensington Ave. in Harrowgate, also listed at $550/month. In the unit, anticipate hardwood flooring, exposed brick and wooden cabinets. Cats and dogs are not permitted. The rental doesn't require a leasing fee, but there is a $50 application fee. According to Walk Score, the surrounding area is very walkable, is relatively bikeable and has good transit options. Listed at $595/month, this 600-square-foot studio is located at 4347 Paul St. in Frankford. Apartment amenities include a built-in microwave, laminate flooring and a ceiling fan. There isn't a leasing fee associated with this rental. Pets are not allowed. Walk Score indicates that the area around this address is friendly for those on foot, is quite bikeable and has excellent transit. Over at 3259 Potter St. in Harrowgate, there's this one-bedroom, one-bathroom apartment, going for $600/month. In the unit, expect built-in storage features, tiled flooring and bay windows. Pets are not allowed. The rental doesn't require a leasing fee. Walk Score indicates that this location has excellent walkability, is relatively bikeable and has good transit options.